Working in partnership with Tesco, 1HQ Global Brand Agency were delighted to be selected as part of the agency mix to help bring Jack’s to life. The launch of Jack’s is part of Tesco’s centenary celebrations which sees the business mark 100 years of delivering great value to British shoppers. Jack’s proudly supports Britain’s food producing communities. 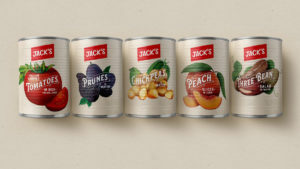 Eight out of 10 food and drink products at Jack’s are grown, reared or made in Britain and stores stock a unique own brand range, as a mark of quality and value.